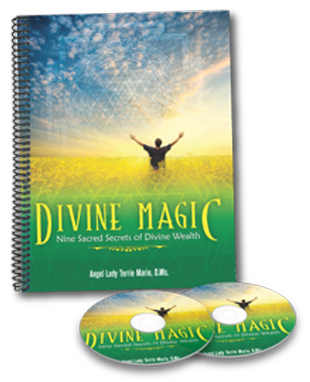 Terrie Marie, D.Ms., also known as the Angel Whisperer, has an Unusual and Highly Effective way of showing Heart-Centered Women and Men how to show-up more powerfully in their life, work and business when they access their Ultimate Angel Dream Team. Angel Lady Terrie Marie specializes in showing her clients how to directly access and receive Divine Guidance through their Higher-Self and Angels, raise your inner-vibration, your Divine Wealth Frequency, change thought patterns, enhance the Law of Attraction and magnify your manifesting power. She helps you discover, explore and learn practical, easy-to-use techniques, tips and tools to increase prosperity and abundance with more harmony and less stress. The Angel Lady shows you how to trust your intuition and gut feelings with a heightened sense of empowerment and confidence. Her subtle, powerful insights create life-changing transformations from the inside out. 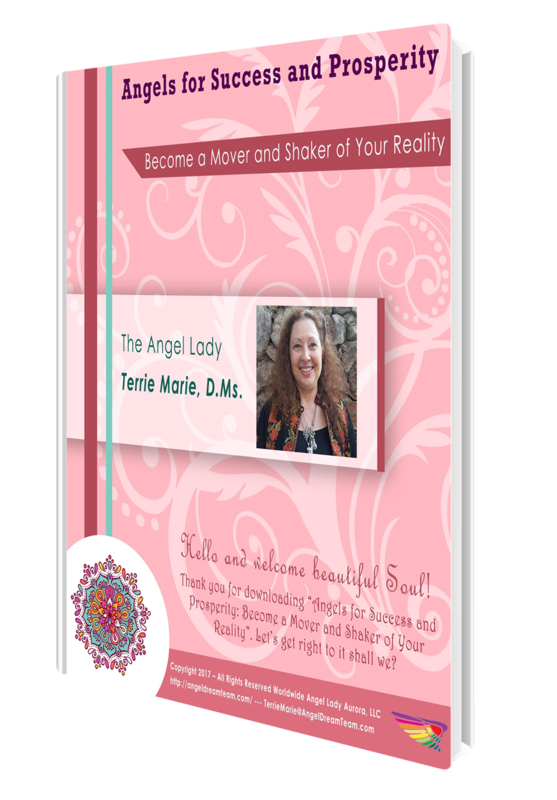 Terrie Marie has helped Heart and Soul-Centered women and men in Australia, South Africa, Ghana, New Zealand, Germany, Belgium, Canada, United Kingdom, Mexico, Brazil, Sweden and the United States. Terrie Marie, D.Ms. has the unique ability to connect and communicate with Angels which makes her a highly sought after Angel Mentor and Angel Whisperer. When the Angel Lady is being interviewed or speaking to International audiences, her high energy ignites the atmosphere with her empowering message, her unconditional love shines bright and intuitive insights flow through her. She creates Sacred Space to transform goals and dreams into reality. Hello if you have a Facebook page or email list, may I be added! Angels be with Jasper now and always,protecting, guiding, healing and clearing his path.